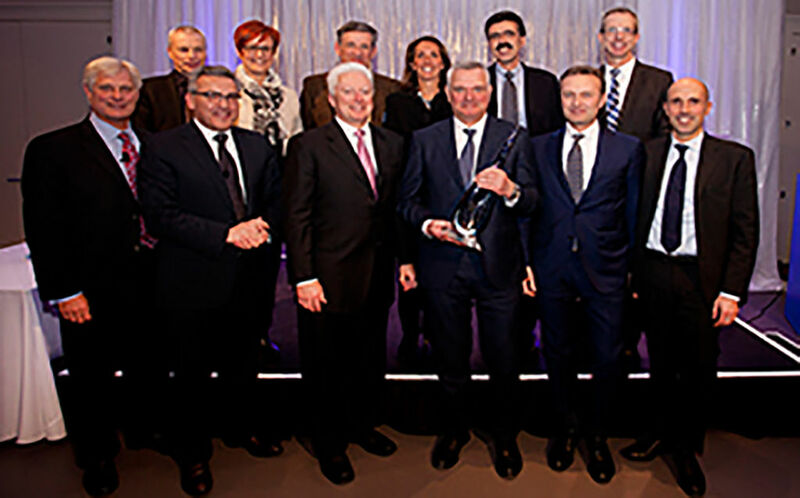 An exquisite handmade crystal creation is the emblem of the deserved award that RONCHI MARIO SpA received during the ceremony held in Cincinnati last Thursday, October 13th ; the company was named by the multinational Procter & Gamble as “External Business Partner of the Year 2016” for the third consecutive time. Since 2008, P&G has committed to recognizing its top performing external business partners in P&G’s External Business Partner Performance Development Process (PDP). P&G established the PDP to define measure and collaboratively enhance the performance of its business partners to exceed business needs and enhance relationships. RONCHI MARIO SpA, internationally recognized as the leading manufacturer of packaging machinery, comes within the seven who were named winners of both the “External Business Partner of the Year” and ”Excellence Award”, this latter being the 6th in a row won by RONCHI from year 2010. This award was proudly received as it confirms RONCHI’s commitment to achieving excellent results in the packaging industry.